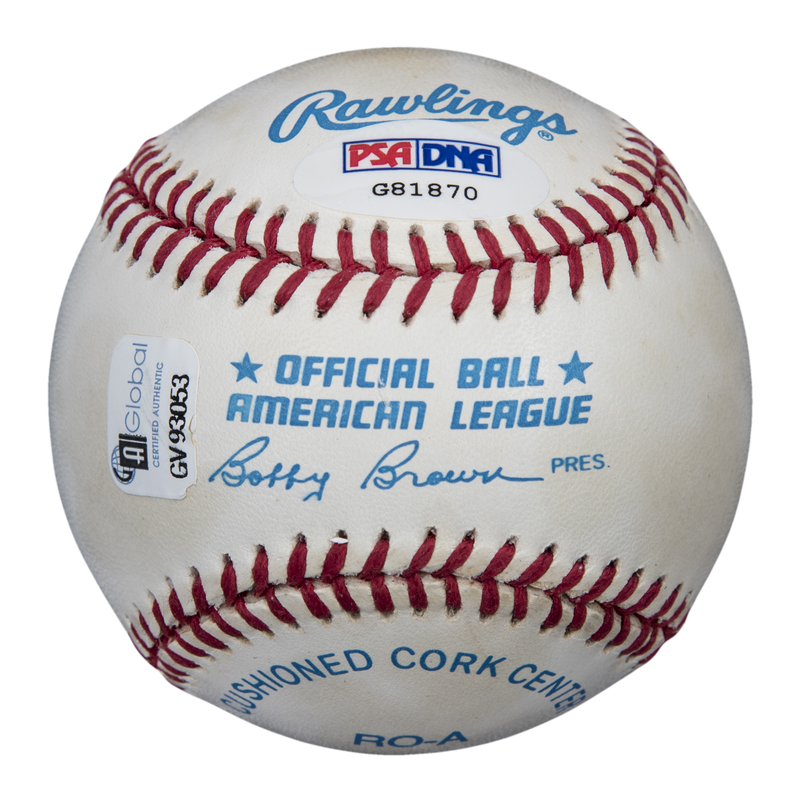 New York Yankees owner George Steinbrenner has signed this Official American League Bobby Brown baseball. Steinbrenner bought a then-floundering Yankee franchise in 1973 for $10 million and owned the team until his death in 2010. Under Steinbrenner, the Yankees longest tenured owner in franchise history, the Bronx Bombers won seven World Series titles and 11 American League pennants. Steinbrenner has signed the west panel of this baseball, with his signature extending partially over the sweet spot, in blue pen. 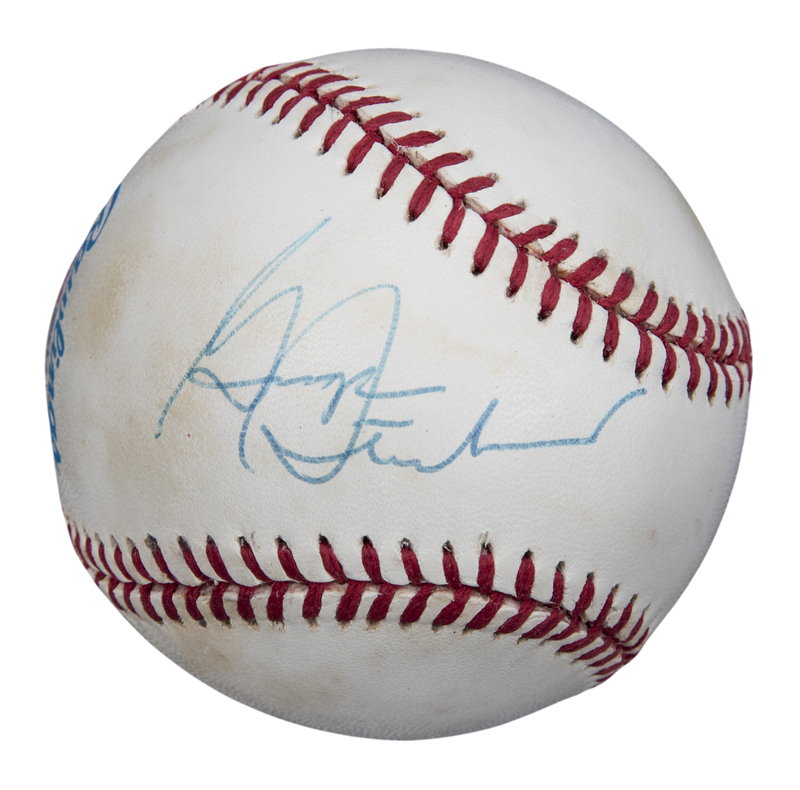 This baseball comes with a COA from PSA/DNA (G81870).